The Tudor and Beisbroek castle grounds and the forests around Zevenkerken Abbey were part of one and the same property in the beginning of the 19th century. The two families who originally owned the grounds, de l’Espée and van Outryve d’Ydewalle, each built their own summer castle in the woods. The neo-Gothic Tudor Castle dates from 1904-1906 and was built by order of Stanislas van Outryve d’Ydewalle. The picturesque country house was designed by baron Henry Kervyn de Lettenhove, a friend of the family. In his design he reverted to the English Tudor style, which immediately explains the name of the castle. In front of the country house a flowery ornamental garden was laid out, as a result of which the castle was clearly visible from Torhoutsesteenweg. It was especially Cécile de Renne, wife of Stanislas, who insisted on the creation of this garden. The garden has a strongly geometric layout with a variation of footpaths, lawns and colourful flower beds. At the end of the lines of view in the garden stone vases were placed on plinths. Several deciduous trees were planted at the edge of this open garden. These trees constitute a nice transition to the surrounding woodland, which is mainly planted with conifers. A bit further from the castle, hidden behind the trees, the walled vegetable garden has been preserved. This garden is now used as a herb garden. Two intersecting footpaths divide the garden in four zones. The garden contains over four hundred different plant species, ranging from spices and medical herbs to bee plants. Numerous fruit trees line the walls. 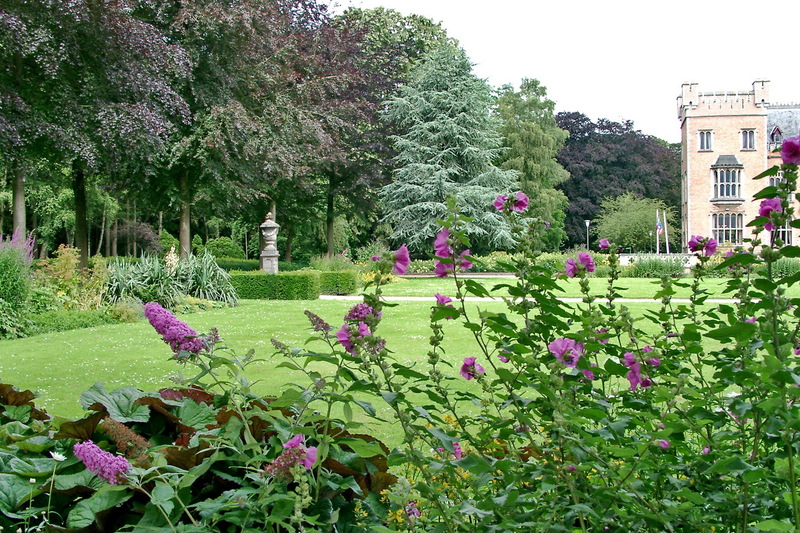 The City Council of Bruges was able buy the area of over 40 ha in 1981 and had the ornamental garden redesigned on the basis of the original concept. The castle was converted into a party hall.